The Scottish Government has signed up BT to help push the fibre broadband network into parts of the country it doesn't yet reach. 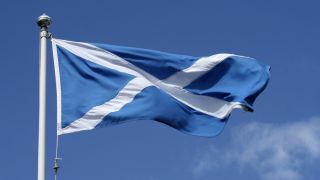 Deputy First Minister Nicola Sturgeon announced today that the Government, along with local authorities and Broadband Delivery UK, is pumping £157.6 million into the programme to roll out fibre broadband, while BT is providing £106.7 million. It follows a deal in March to provide a fibre infrastructure for the Highlands and Islands region. A BT representative told TRPro that the new deal extends to the rural areas not previously covered, and that initial priority will be given to small and midsized businesses in remote areas. The project is aimed at providing access to fibre broadband for 85% of Scottish properties by the end of 2015 and to about 95% by the end of 2017. It involves guaranteeing a minimum download speed of 2Mbps, although at the top end the rates could reach 80Mbps. "We're not yet sure of the proportions of who will be able to get the fastest speeds," the BT representative said. "We're pretty sure it will be quite high, but there's still a lot of detailed surveying and planning work to do." Sturgeon said: "Today's announcement signals the start of one of the most ambitious infrastructure projects in the whole of Europe. It will connect communities across rural and urban areas, providing a platform for future economic development and regeneration."